A Wonderbar Review: Does the Wonderbar Soap Really Work? 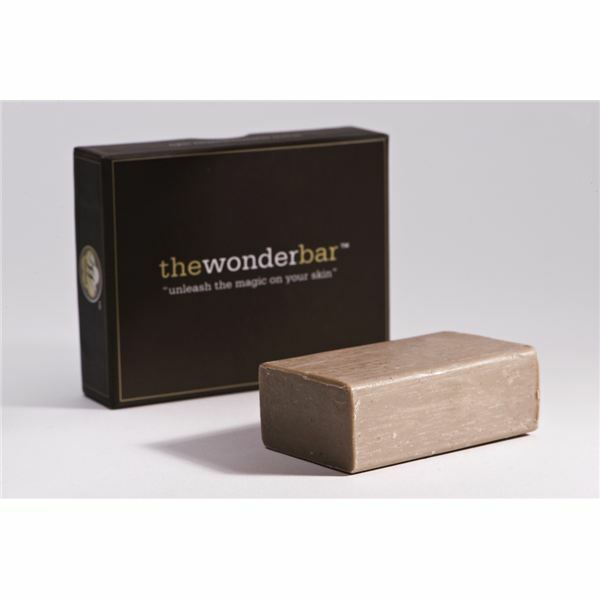 The Wonderbar is a natural soap that detoxifies the skin. Due to its pH levels, it’s technically not a soap per se, but instead, it’s a toxin-purifying treatment. The Wonderbar costs $40 a bar, which can be ordered online at wonderbarusa.com. After receiving the bar, the recipient lathers it on her/his face two times a day. The face can be wet or dry, and the soap should be left on for three to five minutes and then rinsed off. The skin will go through the Healing Crisis stage. This stage lasts anywhere from a couple weeks or upwards of a month or so. It is a period of detoxification, thus the skin will not look its best. The end goal is beautiful, radiant skin. The suggested trial time is two months to go through the Healing Crisis and achieve the best skin results. But the question is: is the Wonderbar really a wonder? The first two weeks of using the bar is exactly what the Wonderbar website says. The facial skin gets intensely dry and pimples increase. My skin was also red, flaky and felt very tight. These are all normal signs of the Healing Crisis. Around the second week exactly, my skin begin to feel and look a lot better. The Wonderbar stings the skin a bit as you get used to it. The three to five minutes may be a little bit painful. The skin will get tight immediately after rinsing. During the Healing Crisis and while using the bar, the Wonderbar staff recommends not to use any sort of pore-clogging makeup. That includes certain mineral makeups. Also, it is best to use physical sunblock only, or sunblock that sits atop the skin and only use a recommended moisturizer. A quick tip: Do not get the bar fully wet. Just wet a smaller side of the bar and lather into your hand. The bar will last much longer. After the first month, my skin began to look really good. The Wonderbar shockingly helped with my periorial dermatitis as well, which is an eczema-like skin condition that causes flaky, red skin. It calmed the skin and made it less red. My face has a more even texture, and I actually do not need to wear powder. However, my skin is still incredibly dry. The Wonderbar did not help alleviate my normal, intensely dry skin. I have read reviews where people who have oily skin have a lot of success with drying out their skin. But I did not have success with the opposite. Therefore, I use a moisturizer, CeraVe, after using the bar twice a day. This helps immensely. It was recommended to me by Tiffany, the Wonderbar moderator on Facebook. The Wonderbar Facebook page is an incredible help. Anytime I had a question, I would pop on there and Tiffany would answer it within a few hours. Just passing the two month mark, I would say my skin still looks even and clear, but it is also still getting used to the bar. It still stings a bit. I can’t imagine using it as an overnight facial mask as some people do. But I am happy with the results. This Wonderbar review should help you to decide if the Wonderbar is the right choice for your skin. Overall, I definitely recommend it. A special thank you to Gabby Rosenthal of Tractenburg for the Wonderbar photo.